What are the newest biomedical treatments for autism? Biomedical therapies are alternative medical treatments that focus on treating the entire body, based on the idea that imbalances in the body contribute to autism symptoms. Many mainstream doctors do not recommend biomedical treatments and some even caution against them. However, a number of people with autism use these therapies and have reported positive results. What Is Biomedical Autism Therapy? There is also a belief among the biomedical community that some individuals with autism develop viral infections and/or toxic metal exposure from environmental factors or childhood vaccine reactions. Practitioners of biomedicine develop personal interventions that address any existing medical issues or imbalances in order to improve autism symptoms. Each treatment plan is individualized because autism is a spectrum disorder that presents in varying degrees of severity and sets of symptoms. Dr. Bernard Rimland, founder of the Autism Research Institute (ARI) created the first biomedical protocol for autism, Defeat Autism Now (DAN), in the late 1960s. Rimland and his colleagues developed the DAN protocol based on extensive research. DAN has a vast network of medical doctors, specialists and therapists who treat autism through biomedical approaches all over the world. While DAN, and biomedicine in general, are not recommended by the wider traditional medical community, a number of DAN practitioners are licensed medical doctors. Many mainstream doctors question the safety of these biomedical protocols due to concerns over proper nutrition and the possible dangers of chelation therapy. DMPS Chelation: DMPS is the acronym for 2.3-dimercapto-1-propanesulfonic acid sodium or 2.3 dimercaptopropane sulfonate. DMPS chelation administers chelating agents to remove toxic metal, such as mercury and lead, which many biomedical experts believe are tied to autism. 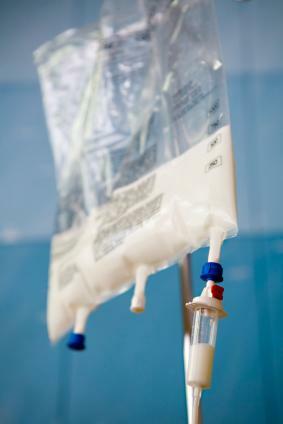 DMPS chelation is generally administered intravenously by a physician. However, both transdermal and oral forms of the therapy are also available. Vitamin B-6 and B-12 Supplementation: According to the ARI, many people with autism are deficient in vitamins B-6 and B-12. Vitamin B-6 supplementation, including vitamin B-12 shots, are sometimes recommended to affected individuals. A series of vitamin B-12 shots are often prescribed with folic acid supplementation. A B-12 treatment plan may include 3 B-12 shots the first week, weekly B-12 shots for the second month, and then a once monthly B-12 shot for the next three months. Hyperbaric Oxygen Therapy: Hyperbaric oxygen therapy involves providing extra oxygen to the cells in body in a special pressurized chamber. The theory behind the therapy is that rich oxygen exposure encourages positive cellular changes and can improve the immune system. Enzyme Therapy: Dietary enzymes supplements may help some individuals with autism, according a 2002 ARI study. Enzyme therapy can aid the digestion of the pepsides, exorphins, which may have possible ties to autism. Forty six patients between the ages of 5 and 31 took a dietary enzyme supplement for 12 weeks. All participants showed a significant improvement in their autism symptoms. According to the ARI study, improvements ranged from 50 to 90 percent in some individuals. Antifungal Treatments: Some autism research suggests that the overgrowth of the fungus candida may contribute to behavioral and digestive problems associated with autism. A biomedical practitioner may recommend antifungal treatments to combat the overgrowth of candida. Glutein-free Cassein-free Diet (GFCF Diet): The GFCF diet eliminates a common grain protein, gluten, and a dairy protein, casein, which can trigger health problems in people with gastrointestinal problems and food allergies. Since gastrointestinal problems can occur with some cases of autism, GFCF diets can improve digestion and absorption of nutrients. Biomedical therapy for autism is controversial because it is an alternative treatment that has safety concerns raised by traditional medicine. A large segment of the autism community participates in biomedical therapies, and finds them effective. Yet, many biomedical practices are not accepted by the mainstream medical community because there are not enough scientific studies to back effectiveness of the treatments. Diets, such as GFCF, do not provide enough essential daily nutrients, and chelation therapy can be fatal. Anyone considering biomedical therapy for autism should find a qualified medical doctor who practices biomedicine. Visit the Autism Research Institute site to get a list of DAN recommended doctors and biomedical experts. It is also a good idea for people to get at least three medical opinions before beginning an alternative autism treatment, such as biomedicine. It may be helpful to understand both the traditional medical approach to autism and its view of biomedical therapy as well as the biomedical approach to treating autism before committing to a treatment plan to make an informed decision.